Working in a museum brings all sorts of exciting and new experiences. 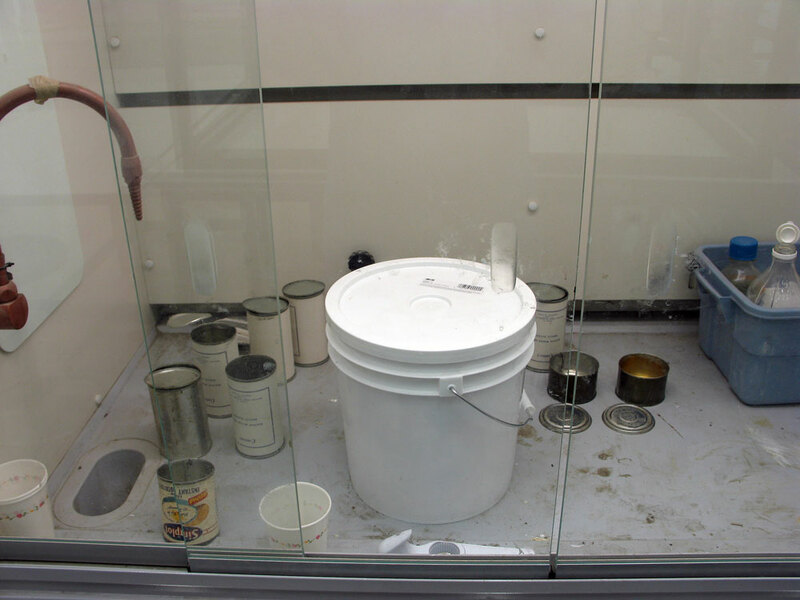 While processing a loan of Bradford Washburn material, going to the Anchorage Museum at Rasmuson Center, the curator of the show requested a few historic food cans. 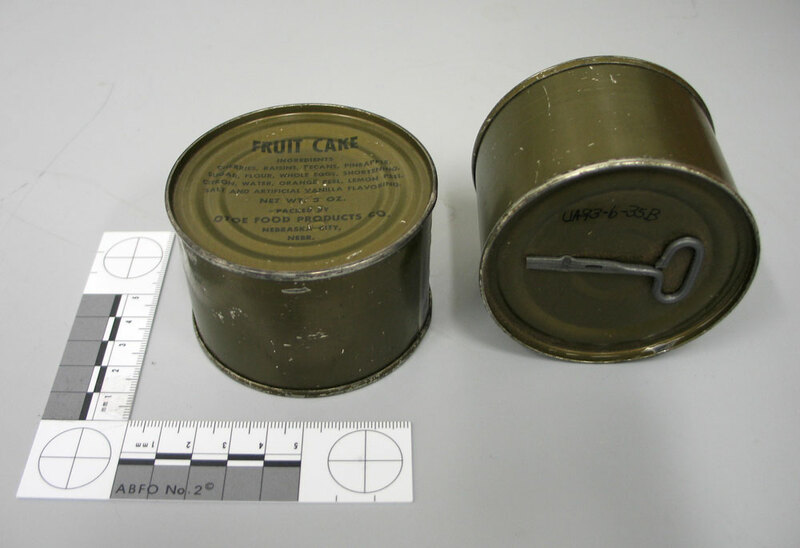 Food cans that still had food in them. YIKES! 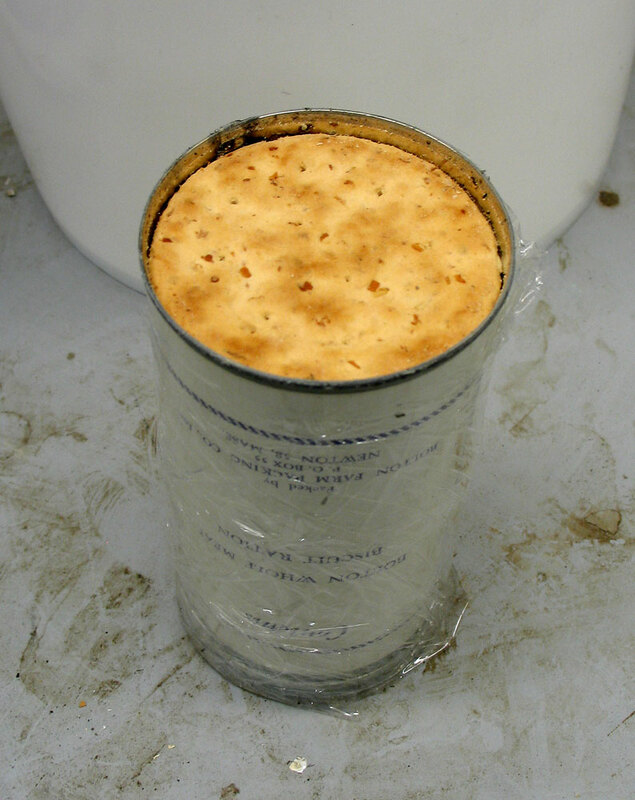 I remembered that Ellen Carrlee, Conservator at the Alaska State Museum, had recently posted a set of instructions in the ASM Bulletin #35 (Winter 2010) on how to safely empty and clean out old cans of food (salmon, in this case). I followed her steps and safely emptied out eight cans of “Bolton Whole Meal Biscuit Ration,” which turned out to be crackers (think whole-wheat pilot bread); two cans of C-Ration Fruit Cakes (no, I did not sample them); one can of Simplot Instant Potatoes; and one can of Pemmican used in a 1971 Polar Expedition to the North Pole (which I had to dig out of the can and plan on adding to our Frozen Tissues collection for future analysis). I only had one gross-out moment, when the last can of crackers ended up having a compromised seal and the remnants of a few “friends” were found lurking inside. Here are some photos that documented the process. Be sure to click on each for the full experience. Enjoy! 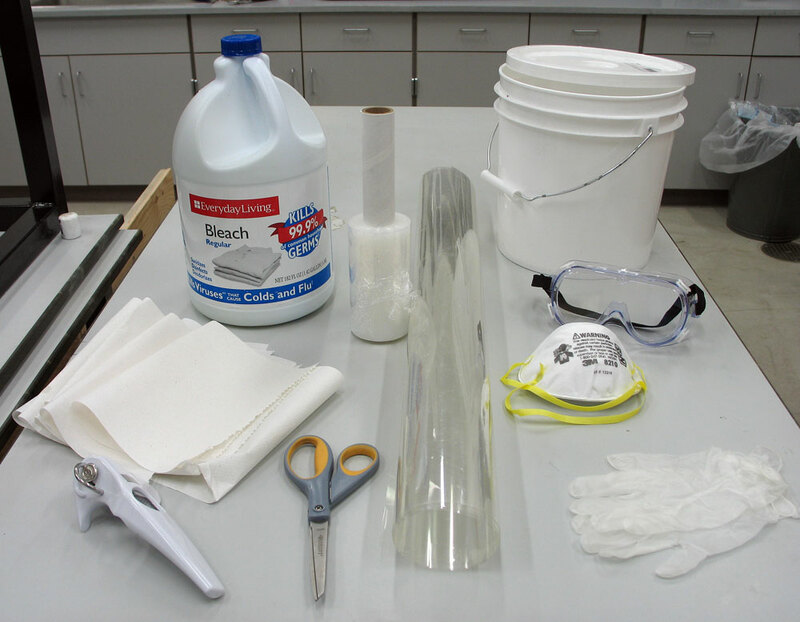 Supplies for opening historic food cans (aka Personal Protective Equipment aka PPE). 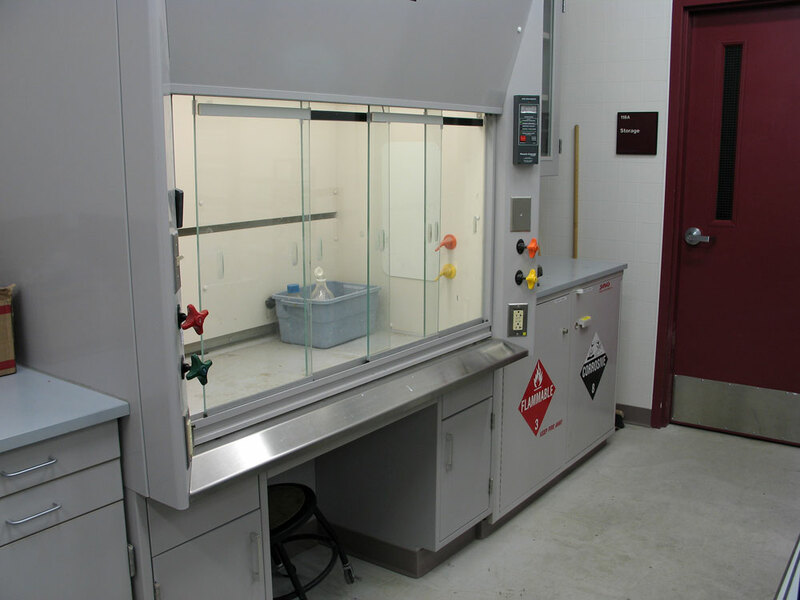 The fumehood in our Collections Prep Lab served as my workspace for a couple of hours. Fully lit, it provided me with great protection from the unknown. 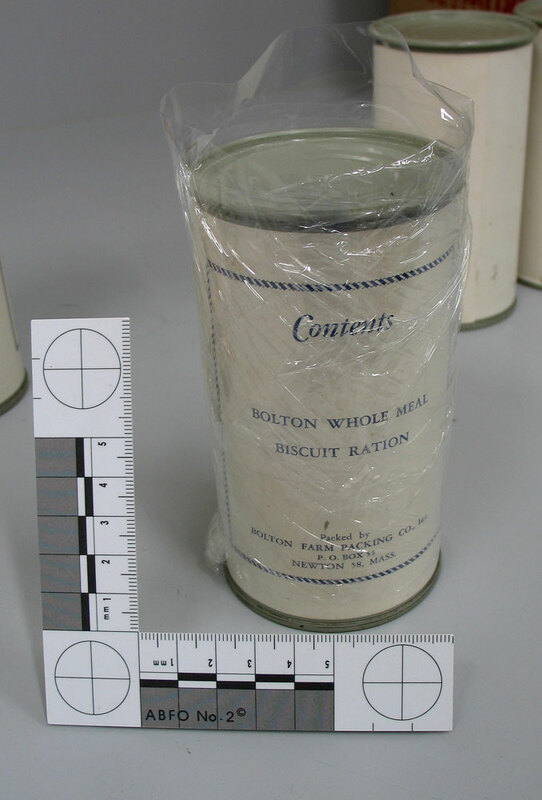 Biscuits... aka crackers. 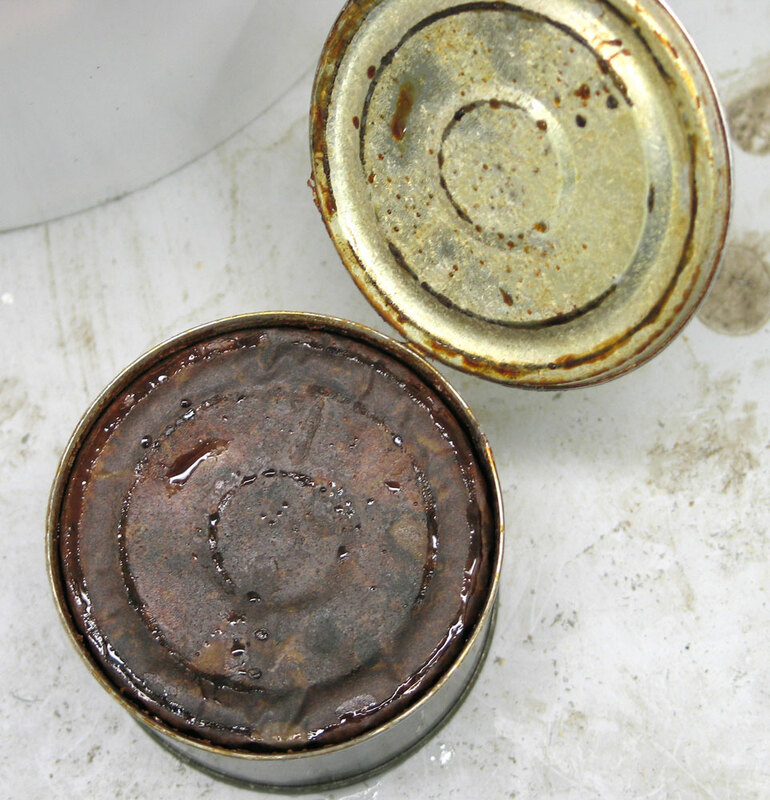 I had no idea what I might find inside these tins. In my head I imagined gooey, uncooked baking powder biscuits ala Pilsbury biscuits in the cooler case! So, I wrapped the precious historic paper label with carefully cut Mylar and held it in place with stretch film. OH! "Biscuits" as in crackers! Of course! 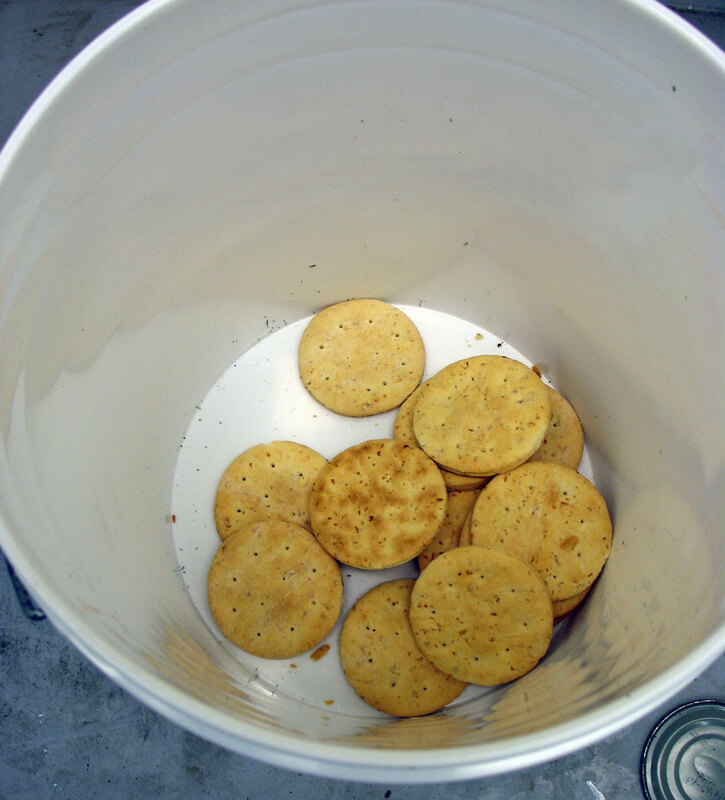 Dump the biscuits into the bucket! 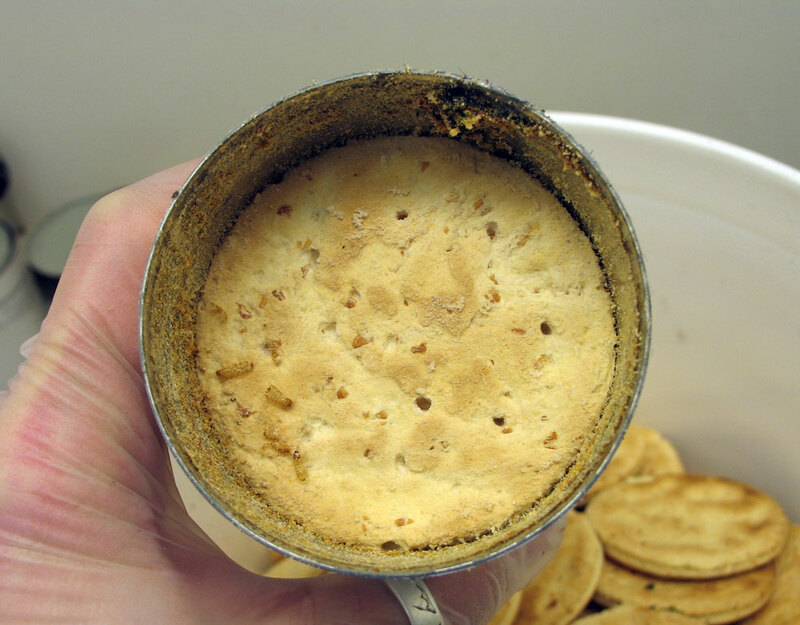 Inside the relatively clean can after dumping out all the biscuits. 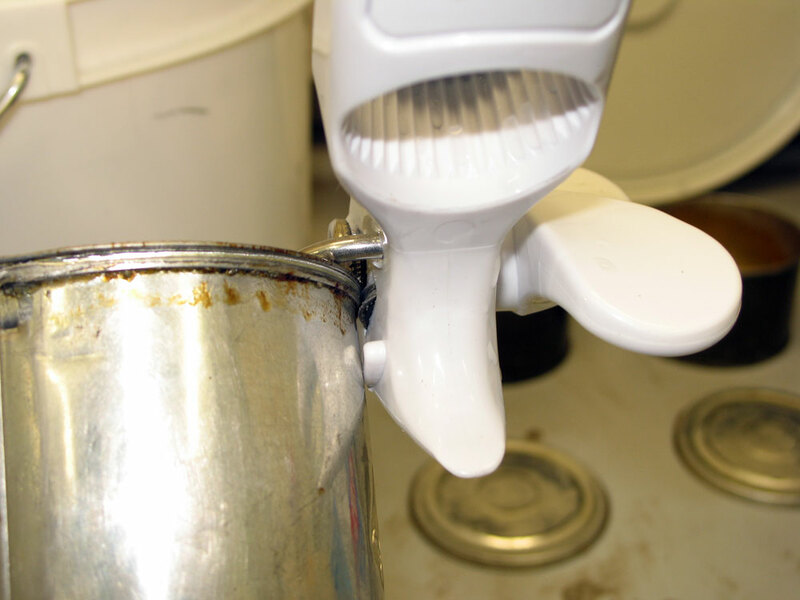 A rinse with some bleach and a wipe down with paper towels and this can was done! 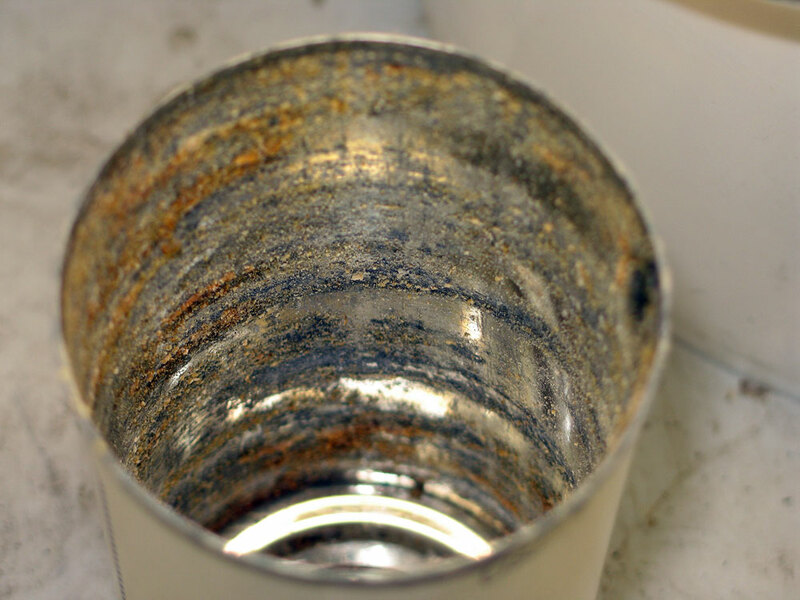 And then there was the last can of biscuits... oh gross. 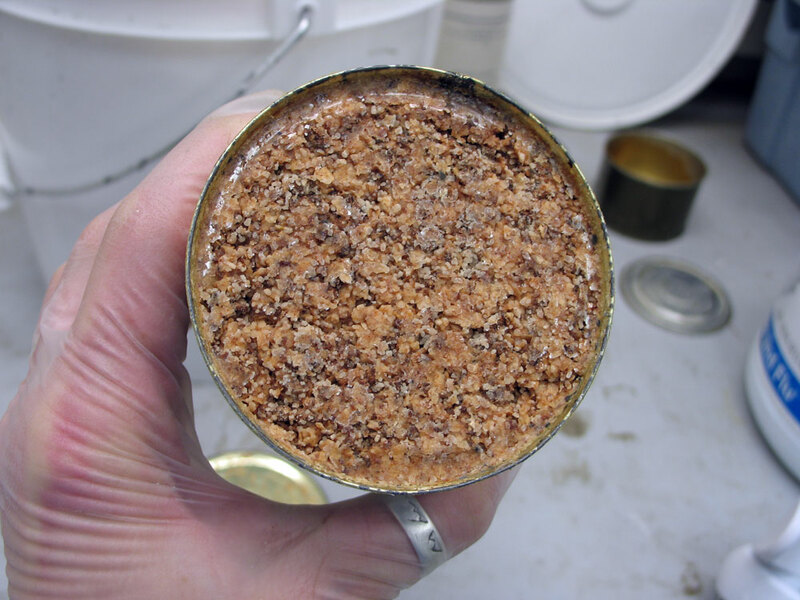 It took some elbow grease, but eventually, this mess was cleaned up and the inside looked as good as the other cans. 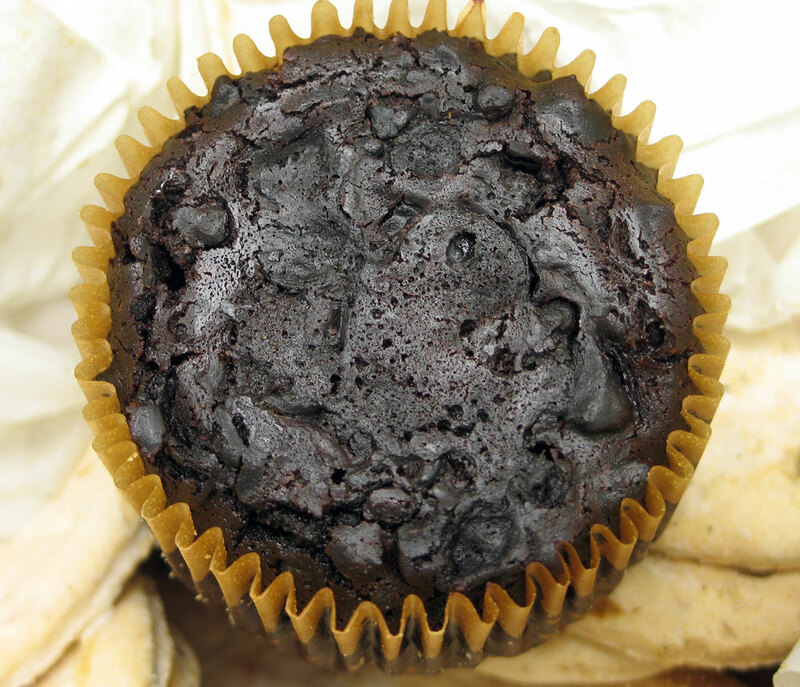 Anyone else thinking "hockey puck?" 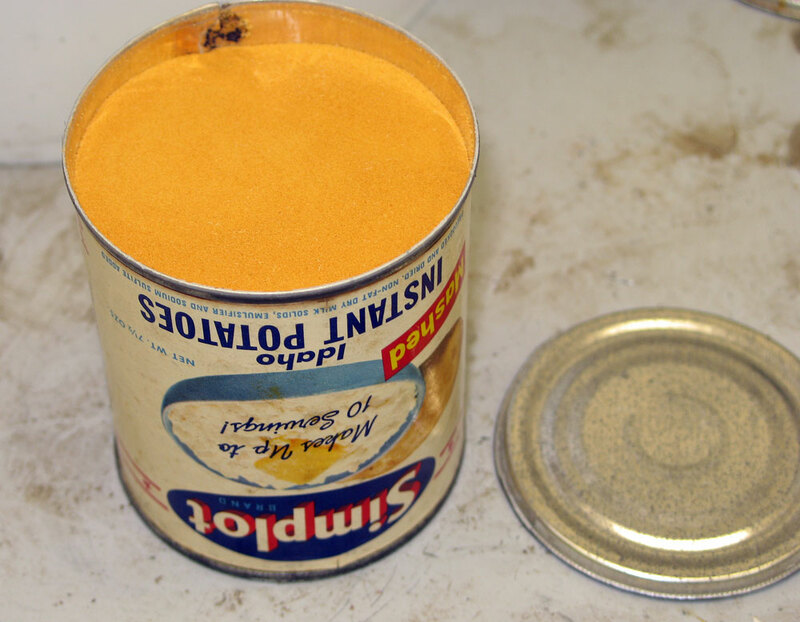 Finally, something simple... orange potato powder! And last but not least... the 1971 pemmican! 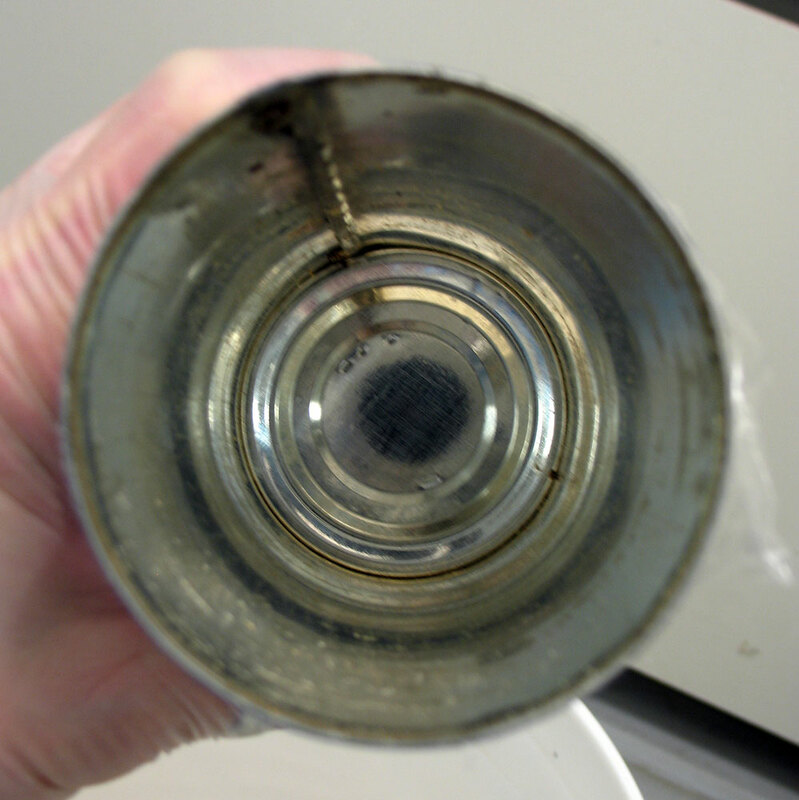 Notice the grease leaching from the "seal" along the end. Probably a good thing I finally got around to doing this! 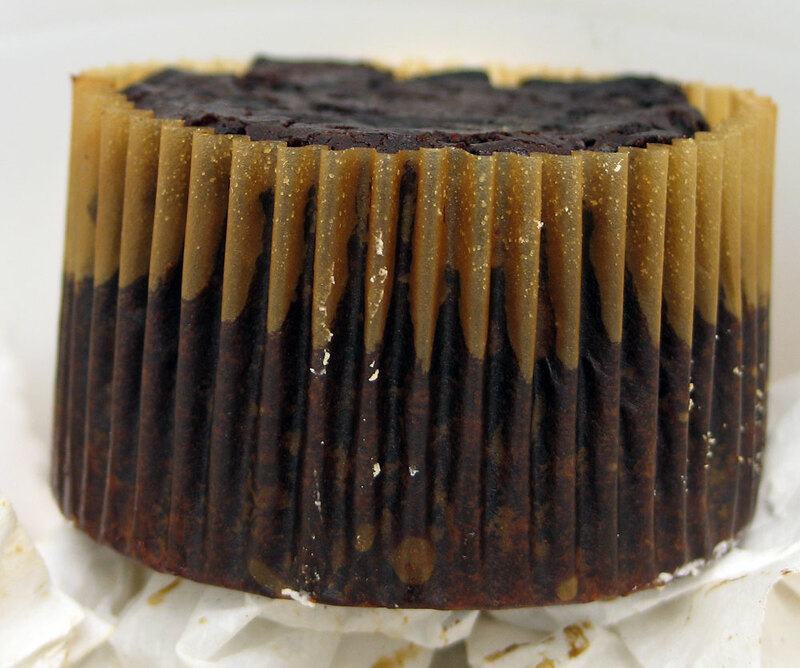 NOT the texture of corned beef hash, no matter the resemblance! I had to dig this stuff out with a plastic spatula! 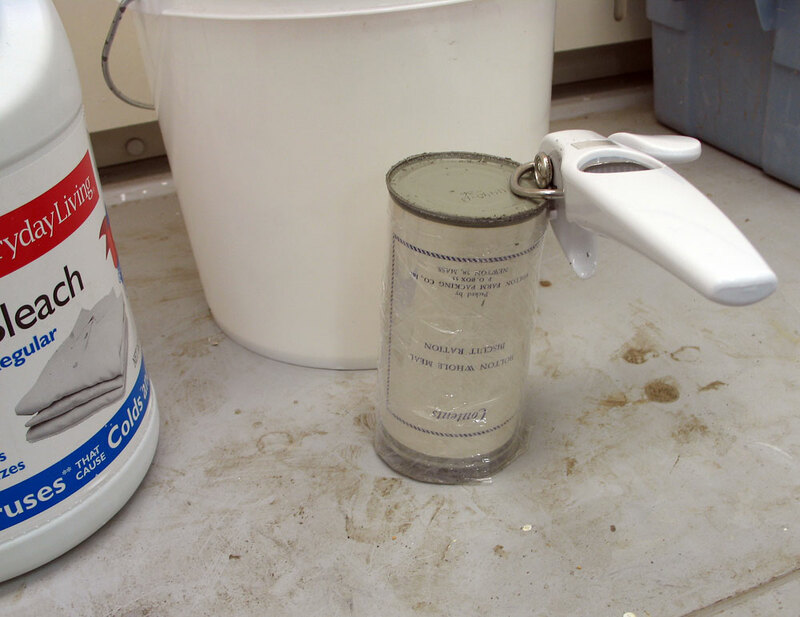 Coat it all with some bleach, snap the lid onto the bucket, and call it a day! One I won't soon forget!